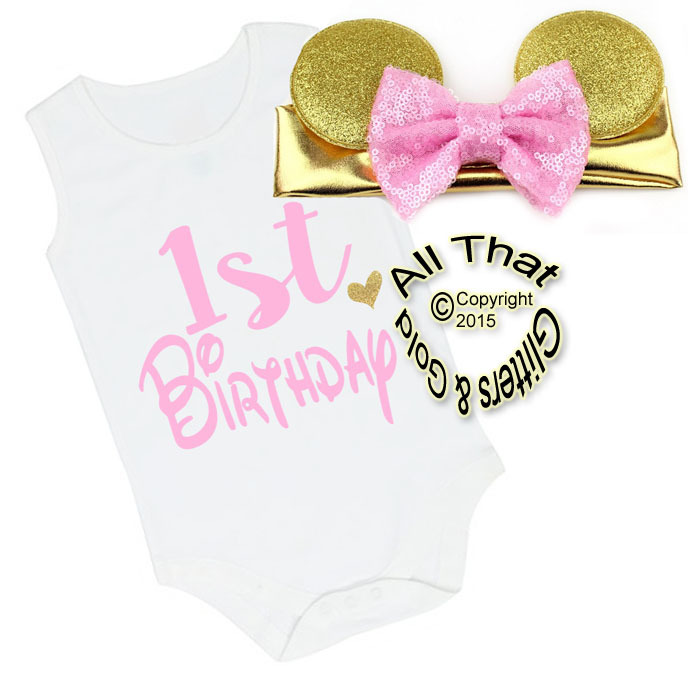 Are you looking for something really cute and unique for your little one to celebrate her very first birthday in? 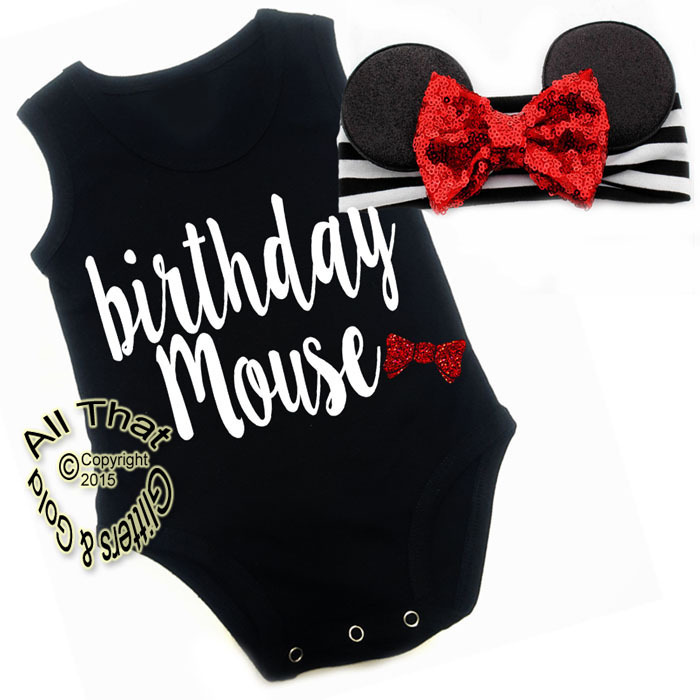 Are you looking for a cute outfit for your little girl to go to Disney in or the perfect outfit for your Minnie Mouse themed party? 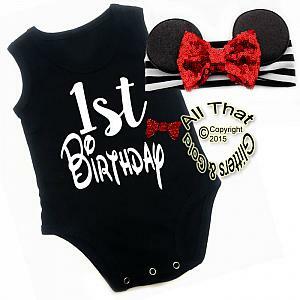 If so, our new Minnie Mouse inspired glitter outfit for baby girls and little girls is the perfect item. It's absolutely cute, stylish and outright adorable. Just got my order and loved it. The headband is so cute. 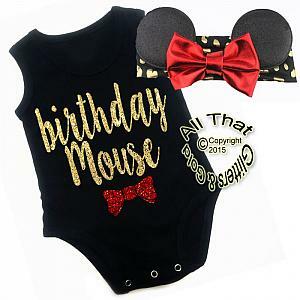 We are going to disney this weekend and can not wait to take pictures with her wearing this.